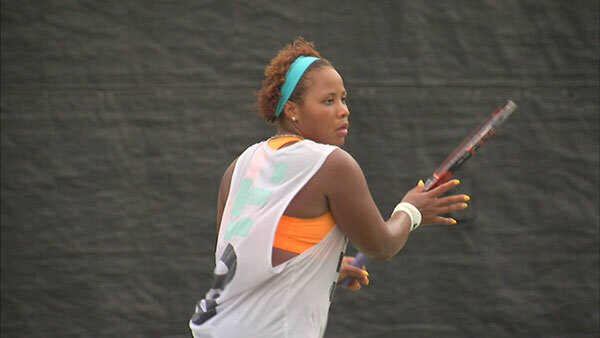 PARIS (WLS) -- Taylor Townsend lost her first-round match at the French Open in Paris. The 19-year-old tennis player went up against 20-year-old Tereza Smitkova from the Czech Republic. Townsend grew up in Chicago's Englewood neighborhood. She trained at XS Tennis Academy in the city's Kenwood neighborhood. No. 15 Venus Williams dropped her opening-round match, falling to fellow American Sloane Stephens, 7-6, 6-1. It was Williams' second opening defeat in three years at Roland Garros, and the fifth time in the last 13 Grand Slam tournaments she's entered that she exited in the first round. Before that stretch, it happened once in 37 majors. Williams can expect a fine after she failed to show up for her post-match news conference. Second seed Maria Sharapova, eighth seed Carla Suarez Navarro and No. 11 Angelique Kerber advanced to the second round in straight sets, but No. 17 Sara Errani needed three sets to knock off Alison Riske. Winners on the men's side include third seed Andy Murray and No. 4 Tomas Berdych.